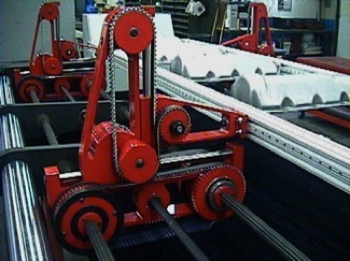 The tool and die industry has always understood the value of transfer systems. Preferred Tool and Die's search for the most cost effective transfer system resulted in DieBotics, an affiliate company of Preferred Tool and Die. The goal of simplicity and reliability guides the entire design process resulting in components that serve more than one function whenever possible and yet nothing is designed into that component that is not necessary for functionality. Our designers' expertise and experience create components that are as light as possible and extremely reliable allowing for more efficient movement without the downtime of other systems. 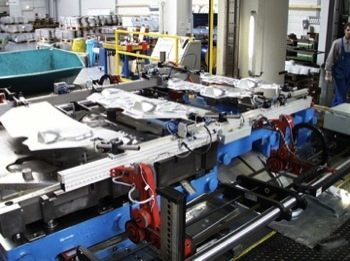 The use of DieBotics in your stamping process is another way Preferred Tool and Die can help you remain competitive in a global economy while producing the quality parts in a timely fashion your customer's demand.